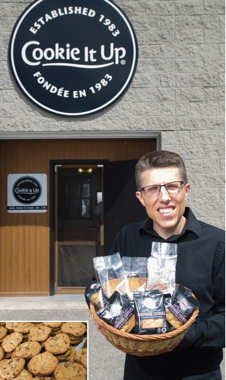 Ontario cookie producer combines traditional handmade recipes and attractive packaging presentation to fill a growing and promising market niche for vintage pastries. Lindsay Paper Box Co. Ltd.
After spending 18 years in the information technology field, long-time Aurora resident Shane Smith (above) returned to the picturesque community a short drive north of Toronto three years ago to acquire the Cookie It Up business from its local founder and began investing in new production and packaging machinery to grow the business successfully. You’ve got to be one pretty smart cookie to make the grade as a relative newcomer to the crowded and fiercely competitive market for cookies and sweet pastries nowadays, and happily for the Aurora, Ont.-based Cookie It Up, the company’s owner Shane Smith is a shrewd operator of the highest caliber. Which makes him a perfect fit to steer the cookie business he purchased three years ago—after working for 18 years in the fast-paced information technology business—through its next phase of organic growth in a thoughtful and measured way befitting the company’s unique local history and following. Founded in 1983 by local budding entrepreneur Paige Sillcox as a DIY summer job project while pursuing her undergraduate studies at the York University in northern Toronto, the home kitchen enterprise quickly evolved into a full-time venture that was selling about 800 bags of fresh handmade cookies to local residents and business per week by the end of that first summer. “I remember eating those delicious cookies during my high-school years here in Aurora,” says Smith, a Calgary native who spent most of his youth growing up in this picturesque community a short drive north of Toronto, before enrolling into the University of Western Ontario’s renowned Richard Ivey School of Business in London, Ont. After graduating with a business degree in 1994, Smith started an information technology business and ultimately moved back to Aurora to raise his young family in the same tranquil, relaxed and picturesque country-like environment that he enjoyed growing up. 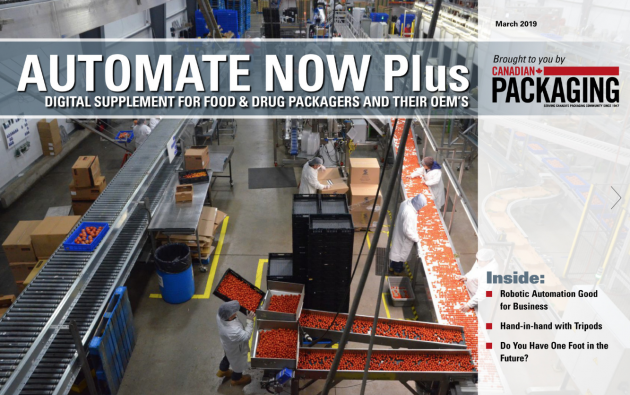 All of the Sleek Wrapper flowwrapping machines manufactured by Paxiom feature sanitary stainless-steel surfaces to meet all stringent requirements for food safety. But with early retirement never really an option, the natural born entrepreneur was determined to forge himself a new career path either through a new business startup or, preferably, acquiring an existing business that would fulfill both his entrepreneurial ambitions and a personal desire for a healthy worklife balance. In retrospect, it almost seems that Cookie It Up was always destined to become Smith’s springboard for future business success one day. “I literally just walked off the street, introduced myself to Paige, told her why I wanted to buy her business and if she would consider selling it,” Smith recalls. 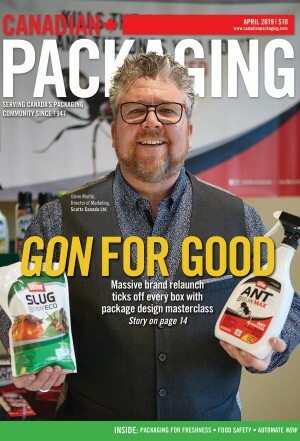 “As it happened, she told me my timing couldn’t be better,” Smith told Canadian Packaging during a recent visit to the modest 6,000-square-foot bakery employing about 15 full-time production people over a one-shift, five-days-a-week schedule, gradually increasing to 25 line workers to meet the rising demand and seasonal peaks between August and December. Installed at the Cookie It Up bakery in Aurora in early May of this year, the model Sleek 50 Wrapper horizontal flowwrapper from Paxiom is controlled via a user-friendly PLC touchscreen interface (inset) to enable the plant to produce more than 50 single-serving pouches of freshly-baked cookies per minute in smooth-running, low-noise process. Packaged in elegant, giftbox-like folding cartons supplied by the Lindsay Paper Box Company and designed by Toronto-based branding services provider Slingshot, the company’s 170-gram and 154-gram packages of nut-free, kosher-certified cookies and mini-shortbreads come in over a dozen enticing flavors—including Chocolate Shortbread, Chocolate Chip, Coconut Cranberry Crisp, Salted Caramel Crunch and gluten-free Chocolate Chip and Blueberry recipes—currently retailing at leading grocery chains such as Longo’s, Metro, Whole Foods Market and Sobey’s across Ontario, as well as at a number of local independent supermarkets and shops. Made with fresh, natural ingredients and using no preservatives whatsoever, the buttery premium-priced treats made at the nut-free Aurora facility are amongst “the more expensive cookies you’ll find on a supermarket shelf,” Smith acknowledges, “but they are also the only truly handmade cookies you will find there. “We’re not trying to compete with the Oreos of the world,” Smith says. “That will never be our goal in this business. “Our objective is to give people a special moment of wholesome, handmade indulgence that simply cannot be recreated in a mass production environment,” says Smith, noting that each single cookie formed, shaped and put into the plant’s oven is uniquely different from all the other cookies—much like snowflakes. “That’s all part of the charm,” he states. “We only use butter and other high-quality, locally sourced ingredients in our recipes,” Smith points out. “We are happy with the unique niche we have found for ourselves in the cookie product category,” Smith says, “and we are definitely working all the time to grow that niche, but it will never be done at the expense of our product purity or authenticity. 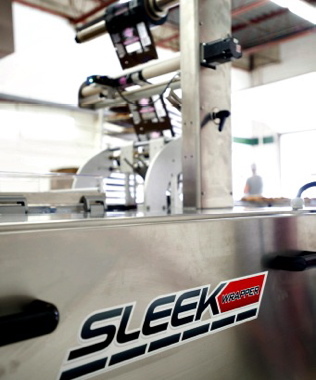 A machine operator manually places freshly-baked cookies onto the infeed conveyor track of the new Sleek 50 Wrapper flowwrapping machine manufactured by Paxiom. While the patient and time-consuming process is admittedly the antithesis of efficient process automation, the Aurora bakery still manages to produce millions of cookies per year, according to Smith, enabling it to market about 15 different SKUs (stock-keeping units) and to do some private-label work as well. “It’s a bit of a Catch-22 for us in a sense that although we would like to speed up the process to increase our volumes,” Smith relates, “we must be careful in how we go about it so that our cookies remain truly special. The servo-driven model Sleek 50 Wrapper installed at the Cookie It Up facility features a self-centering film holder, automatic film registration, and optional gas-flushing capabilities to ensure that each single-serving package of cookies or shortbreads shipped to Porter Airlines retains the fresh taste and texture right up to the moment of consumption. Smith cites the company’s thriving business with the Toronto-headquartered Porter Airlines as a textbook example of such marketplace reciprocity. Operating out of the Billy Bishop City of Toronto airport on the city’s lakefront, the regional airline has built its growing business over the years by offering a more convenient and direct option for both business and leisure travelers to reach other important city airports in Chicago, New York, Boston, Montreal and elsewhere across Ontario without the stressful grind of big crowds and long lineups found at larger international airports handling thousands of daily incoming and outbound flights. As a fairly uncommon gesture of gratitude for customer loyalty, Porter Airlines also offers all its travelers free single-serving packs of cookies and shortbreads both at its departure lounges in-flight—all of them lovingly made and carefully packaged at the Cookie It Up plant in Aurora. “We have now been serving Porter Airlines for about five years,” says Smith, adding the Porter Airlines business accounts for a substantial portion of the plant’s total output over the course of a year. The far-flung market exposure and word-of-mouth acclaim that the Cookie It Up brands earned from being sampled by thousands of grateful daily travelers has been wonderful, Smith contends. “It really blows me away to see so many emails from people in faraway places, nowhere near our geographic reach, praising our cookies as the best they ever had,” Smith relates. “It’s incredibly generous that people take the time to send us a note about how our cookies made their travel a more pleasant experience,” says Smith. Designed by Slingshot and printed by Lindsay Paper Box, the folding-carton packs all feature a black-and-white photograph of a historic Aurora sight on the side panel. 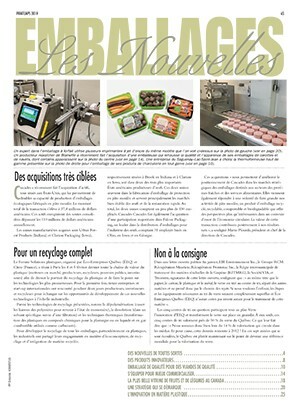 If and when that happens, there is a good chance that Cookie It Up may have to find somewhat larger home premises to boost its production volumes, but in the short-term, Smith feels the existing facility can still handle the current growing demand, as long as it continues to invest in productivity-enhancing equipment and technologies. Since assuming the company’s ownership, Smith has upgraded the plant’s processing capabilities with installation of a state-of-the-art commercial oven manufactured by Baxter Manufacturing, a division of multinational machinery group ITW (Illinois Tool Works) Inc., as well as a fully-automatic rotary mixer made by commercial kitchen equipment specialists Hobart Corporation, also an ITW subsidiary. 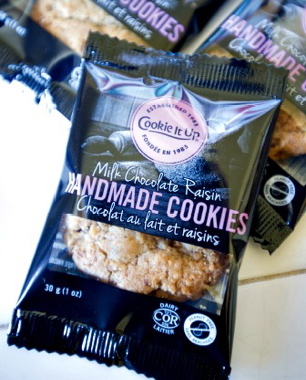 Packaged in pre-printed pouches supplied in rollstock by Tempo Plastics, the single-serving cookies are served to travelers at no charge at all the Porter Airlines flights. 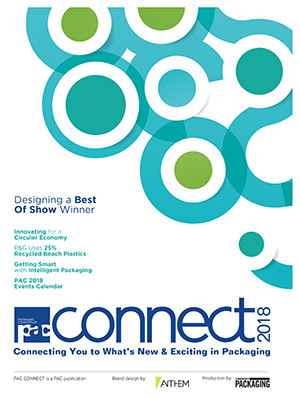 To boost the packaging side of the equation, Smith recently purchased a brand new horizontal flowwrapping machine provided by WeighPack Systems Inc. and Paxiom Group, who jointly operate a network of manufacturing facilities in Montreal, Toronto, Las Vegas and Miami. Installed at the Aurora plant in early May, the shiny new Sleek 50 Wrapper horizontal flowwrapping system is currently used to package the aforementioned Porter Airlines treats into the single-serving 30-gram plastic pouches supplied in rollstock by the Innisfill, Ont.-based flexible packaging converter Tempo Plastics, which also supplies Cookie It Up with the cellophane bags inserted into the retail folding-carton packages. 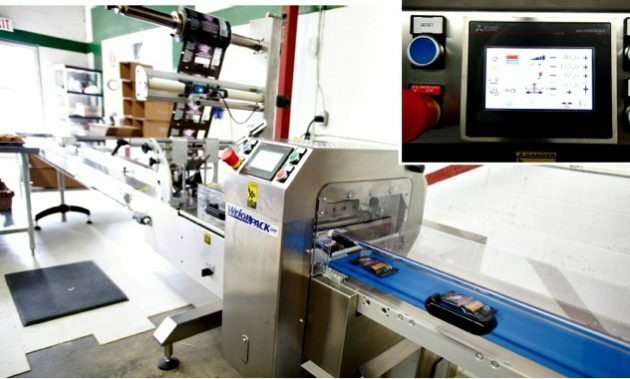 Featuring three servo drives, a stainless-steel frame and floor stand, a user-friendly color PLC touchscreen control interface, a self-centering film holder and automatic film registration, the Sleek 50 Wrapper machine at the Aurora plant can also be equipped with gas-flushing capabilities. For the most part, though, the handmade cookies baked at the Aurora plant require no gas-flushing, according to Smith, since they deliver a decent product shelf-life of six or nine months, depending on the product. The Cookie It Up bakery in Aurora makes extensive use of high-strength, high-quality corrugated shipping cartons, supplied by venerable Toronto-headquartered corrugated packaging producer Atlantic Packaging Products Limited, to deliver its delicate handmade products to the retail customers in prime condition with no breakage or crumbling. “Our approach to shelf-life is based on getting the freshly-made product into the package as soon as possible while it’s still fresh,” Smith explains. The Aurora plant’s production manager Sonya Formanek, who joined the company at the same time that Smith took it over, says she is very pleased with the machine’s performance, singling out its user-friendly operation, hygienic open-access design for quick cleaning and maintenance, quick changeover capabilities and, to date, virtually flawless performance. 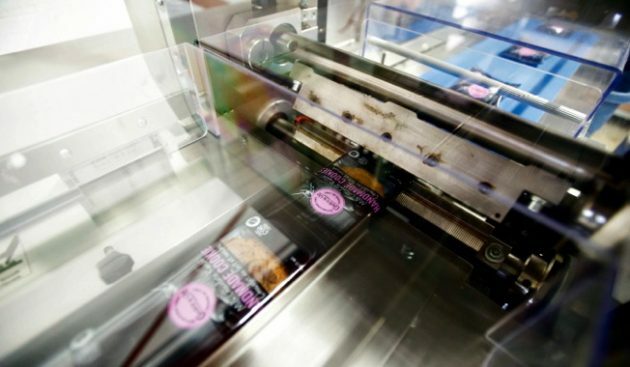 “I have been very impressed with the Sleek 50 Wrapper machine so far,” Formanek states, saying the new flowwrapper currently produces about 54 single-serve packs per minute on average. “The actual tooling changeover on this machine is very basic and straightforward,” Formanek relates, “and we are also very happy with the follow-up customer service. 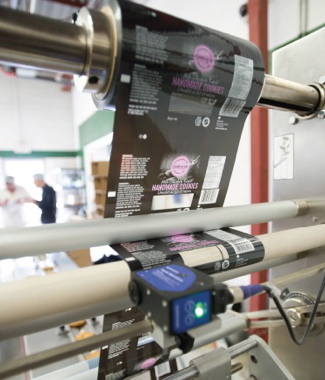 The automatic film registration on the Sleek 50 Wrapper machine helps ensure uniform package consistency for each run. 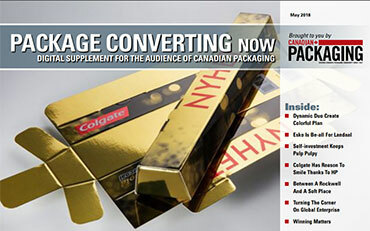 Adds Paxiom Group vice-president of sales Nicholas Taraborelli: “The Paxiom Group has garnered significant success since the launch of the SleekWrapper machinery range in 2014 because the domestic market is interested in having access to high-quality alternatives to the expensive imported brands of packaging machinery. schedule demands it,” he explains, “rather than shutting down after finishing a product run to wait until the product changeover is completed on one of the machines. 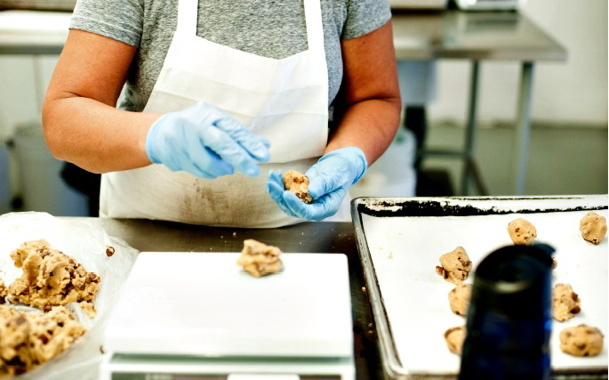 Each and every cookie produced at the Cookie It Up facility is formed and shaped by hand by one of several line operators from the freshly-mixed slabs of dough (above left) blended to right consistency on a nearby Hobart mixer. 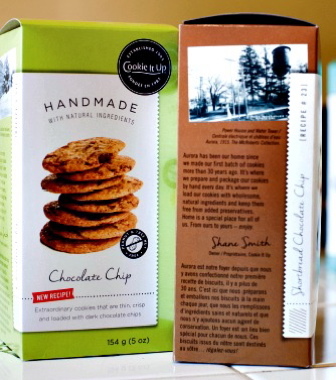 “Above all,” Smith contends, “the user-friendly flowwrapper complements our handmade cookie production process by making it more efficient, rather than diluting its authenticity or integrity.